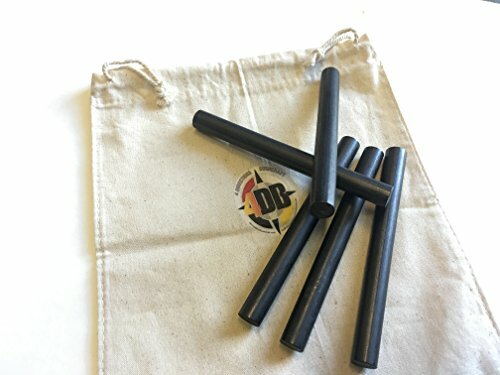 ,br> •These are the perfect size for any DIY bushcraft and survival fire kit projects you have. •They are a great balance between soft magnesium, cerium and hard iron. • They produce hot dancing sparks and will still last you a lifetime for reliable firestarting. •Reliable easy to use in any weather condition or altitude. •Perfect for any wooden handle, bone handles or lanyards. •4DB logo 100% cotton draw string bag included. Large size that lasts a life time, easy to use, reliable, effective and may save your life in a survival situation. Creat your own survival fire kits, bone handle, wood handle and perfect for outdoor adventure gifts.